Excellent off road. 3500kg braked trailer rating. Impressive quality cabin. Loads of space. Well-equipped as standard and great value in mid-spec. On-road driving dynamics aren't great. Top-spec car is pricey. 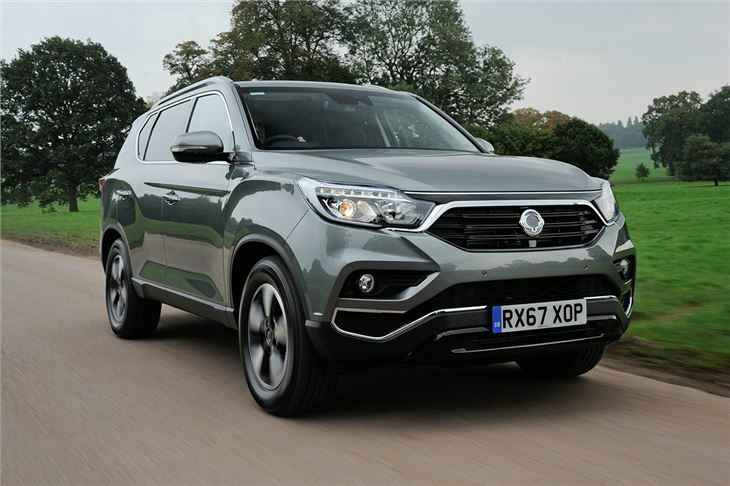 With an upmarket cabin, hugely spacious interior, 3500kg tow weight and genuine off-road capability, the SsangYong Rexton has a lot going for it. 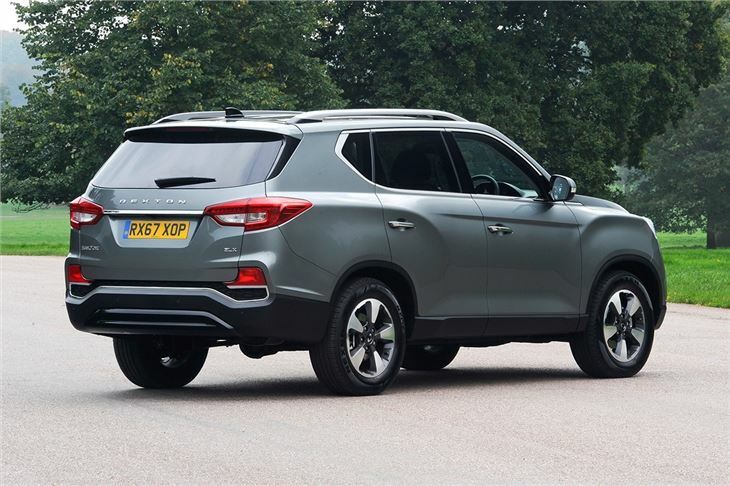 It’s a huge step forward for SsangYong in terms of quality and refinement too – but it’s still not quite as well-finished as a Kia Sorento. It’s not far behind though. 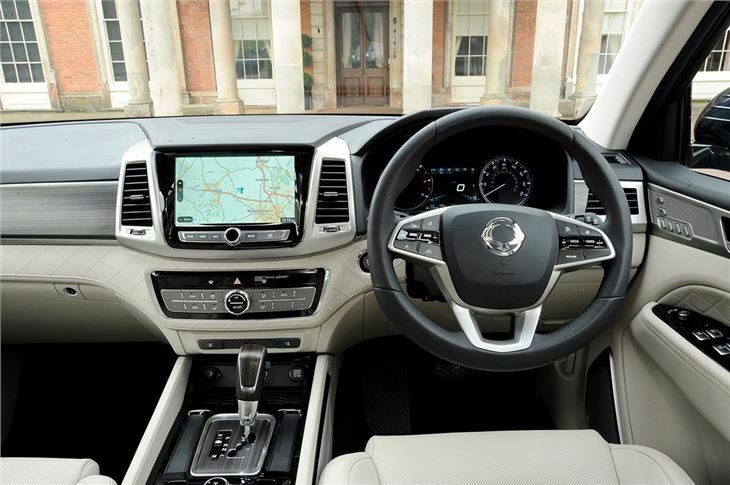 Not only is the exterior styling modern, but the cabin is really well finished. Mid- and top-spec cars get plush leather upholstery on the seats and leather dashboard inlays while the plastics are soft-touch yet sturdy. There’s a large touchscreen system too, with Android Auto and Apple CarPlay. The second row of seats is very spacious, with space for three adults to sit with plenty of leg and headroom. The boot, too, is huge at 820 litres, or almost 2000 litres with the rear seats folded. 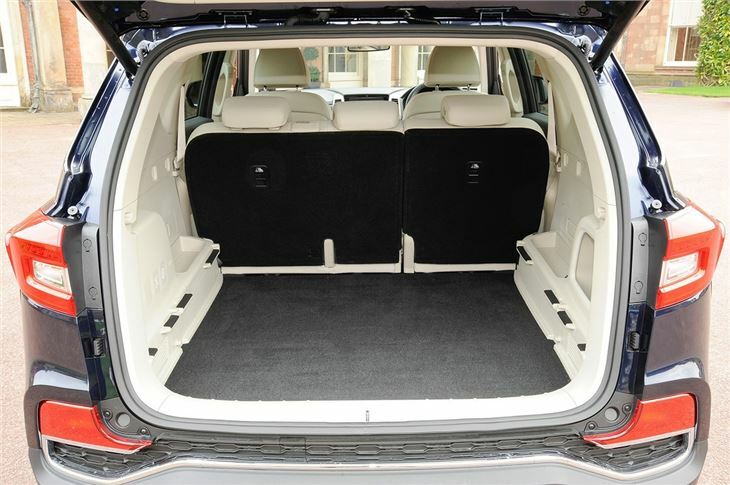 Optionally, buyers can opt for a seven-seater with two occasional-use seats in the boot floor. 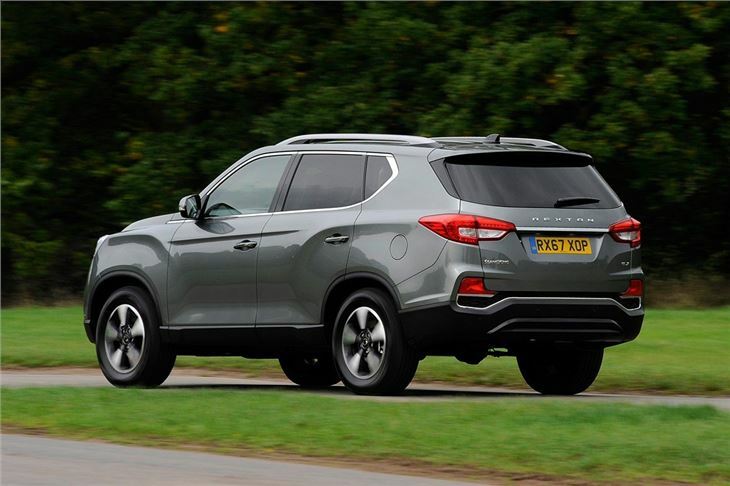 There is one engine choice – a 2.2-litre diesel with 181PS and 420Nm of torque. It’s quiet for the most part, though it does grumble when pushing on. It settles into a nice quiet cruise, though – and there’s little in the way of road or wind noise. There is a six-speed manual, but the Mercedes-Benz sourced seven-speed automatic is a much better bet. 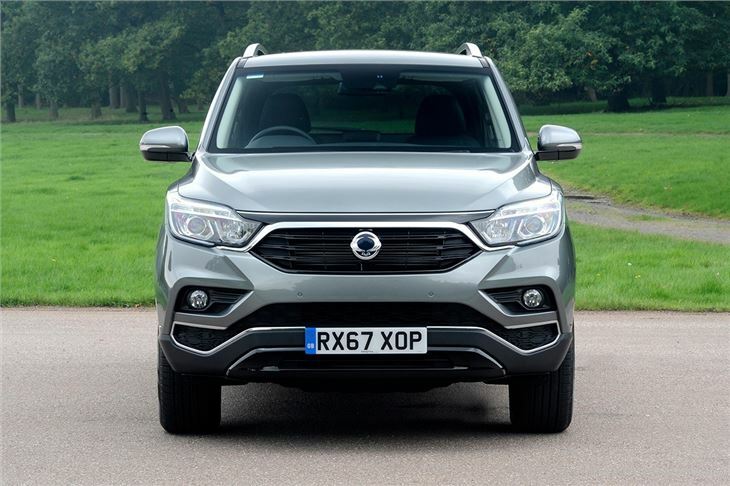 SsangYong has opted for a body-on-chassis design, which gives the Rexton a high towing capacity and good off-road capability – but it does mean the handling is on the soft side on the road. There is noticeable roll when changing direction suddenly and the steering isn’t particularly precise. But the payoff is a 3500kg braked trailer rating, plus genuine 4x4 capability. It has a selectable four-wheel drive mode and, if things get really steep and slippery, a low-range mode, with hill descent control. If you’re planning on towing horseboxes or caravans across fields, the Rexton will do the job without breaking a sweat. 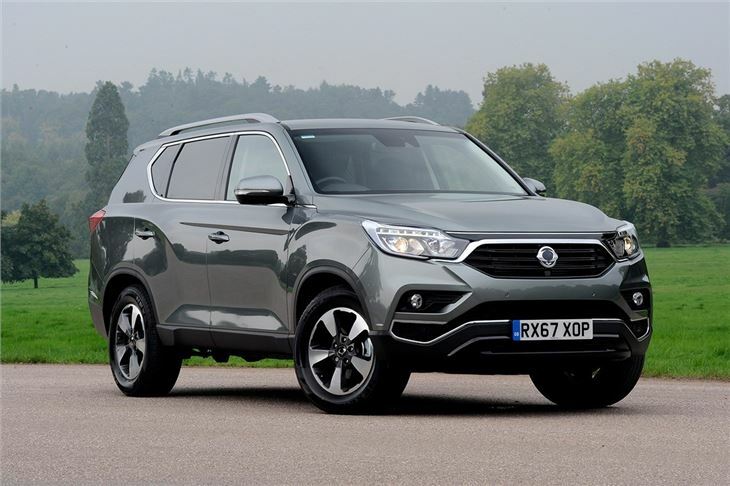 For a SsangYong the start price might seem on the steep side - it starts at more than £26k new – but the Rexton is bigger than the likes of a Hyundai Santa Fe and has a very generous level of equipment. Factor in the comprehensive five-year warranty and there’s lots to like – but if you aren’t going to tow or venture off road, it’s not the best choice.